Southwest Airlines has had a website to donate Rapid Rewards points for awhile now (AKA: frequent flier miles), but with hurricane Harvey hitting Houston, now might be a good time for those fortunate enough to have thousands of unused points to make a big difference. On the Southwest Airlines Rapid Rewards donation site, you can donate to All Hands Volunteers, The American Red Cross, Team Rubicon, The Mission Continues, and Ronald McDonald House. Any of these five charities will be in Houston (if not already) helping get the city back on its’ feet. Details on the organizations and their mission statements are on the Southwest Airlines donation website as well. You can also donate to The Dream Foundation, Honor Flight Network, Make A Wish, or the Student Conservation Association on the same website. The U.S. Department of Health and Human Services (HHS) has set up a National DIsaster Distress Helpline for Hurricane Harvey. This toll-free, multilingual, crisis support service is available 24/7 via telephone (1-800-985-5990) and SMS (text ‘TalkWithUs’ to 66746). THe HHS site dedicated to Hurricane Harvey is here. The article on EHS Today shows the Oxford study was very thorough, taking into account age and existing health conditions. That’s really scary. Prolonged standing at work is more dangerous than smoking. The summary article is here on EHS Today, and the Oxford / American Journal of Epidemiology core study, methodology, and results are here. The Texas valley got lucky. Stupid lucky. 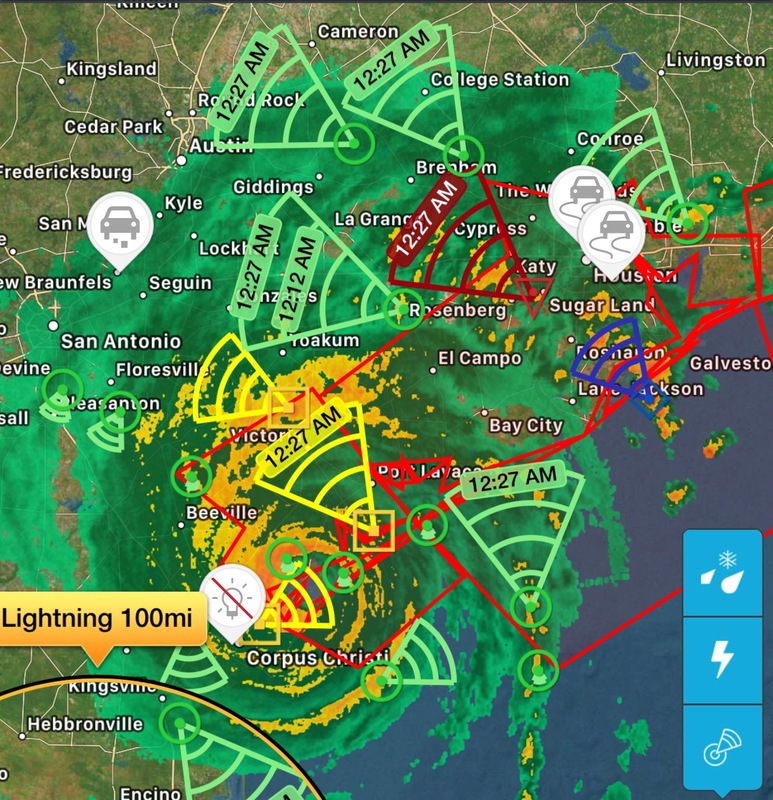 Hurricane Harvey shifted North as it drew closer and just glanced the area with a few intense storms. 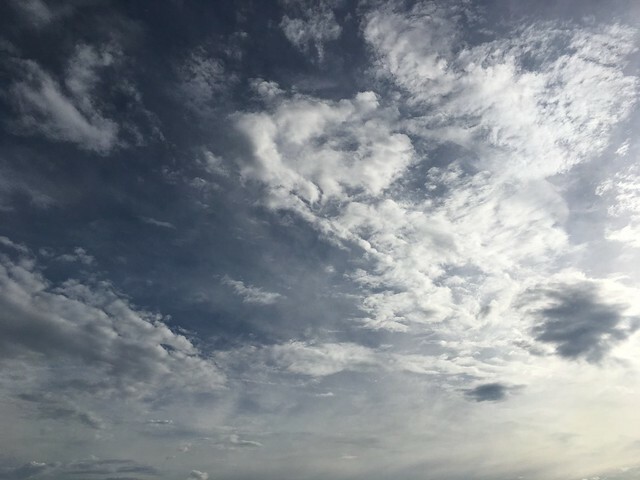 Right now the sun is out, you can see blue sky, and the ground is bone-dry. Hurricane Harvey looks like a “Day After Tomorrow” kind of monster, and if it keeps its’ core in the Gulf, things are going to get real ugly in the next few days for upper Texas. To quote Kurt Russel’s character Gabriel Cash in the 1989 movie “Tango and Cash”…. this is FUBAR. Big time. Tropical storm Harvey is bearing down on the Texas valley, and it’s gaining strength every minute it spends traveling the gulf. Right now, the storm is expected to dump 24 – 48 inches of rain over 3 days inland and winds are expected to hit 75 mph. Parts of the Texas coast are anticipating four feet of rain as the storm makes landfall. You know things are bad when Dailymail puts a story on the front page about it and meteorologists like @EricHolthaus are freaking out. #Harvey is the kind of storm you drop everything to pay attention to. I’ll be out tomorrow hitting the local stores to get photos of the shopping carnage that’s going to ensue. 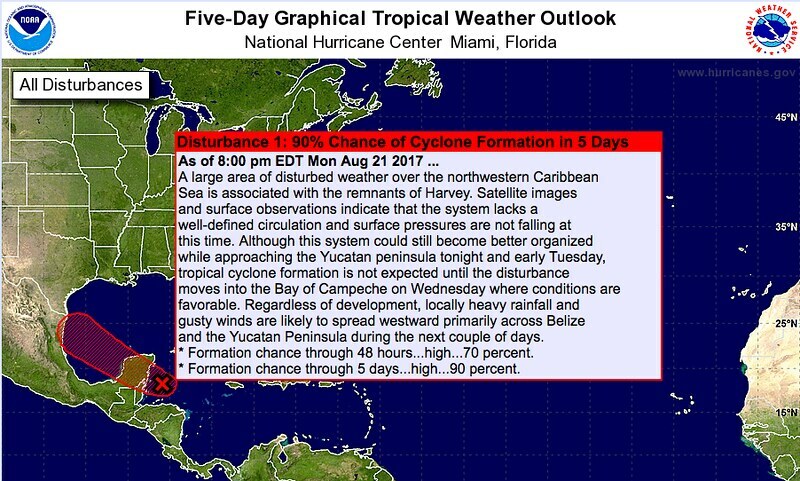 According to NOAA, it looks like the Texas Valley might get a hurricane in the next five days. Even though the storm is just a remnant of “Harvey” right now, NOAA expects it to gain strength once it passes the Peninsula. How long it stays in the gulf will make all the difference on how hard it hits. If you are stuck live in the Texas valley, stock up at HEB or Costco or WalMart ASAP. Flashlights, batteries, tarps, groceries and water are going to vanish once the news outlets pick this up tomorrow night. In semi-related news, I’m curious if this hurricane will get any press north of San Antonio once it manifests. A tweet by @OmanReagan lead me to an amazing video from 1947. The movie is only 17 minutes long, but this 70 year old video needs to be re-broadcast right now. Take a moment and watch. Jump ahead to the 2 minute 2 second mark to get the main story. White supremacy is evil. Racism is evil. Nazis are evil. End of discussion.